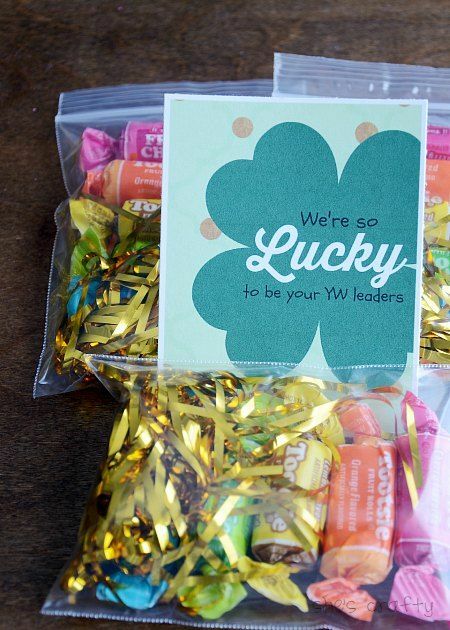 It's March 1, the start of a new month with lots of celebrating! 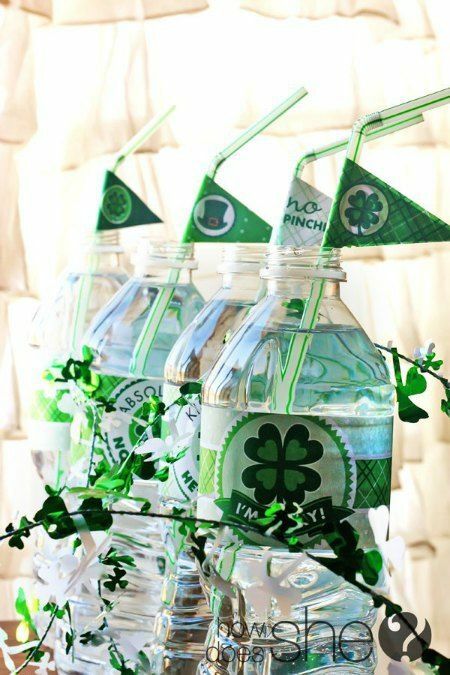 Here are some cute St. Patrick's Day celebration ideas! 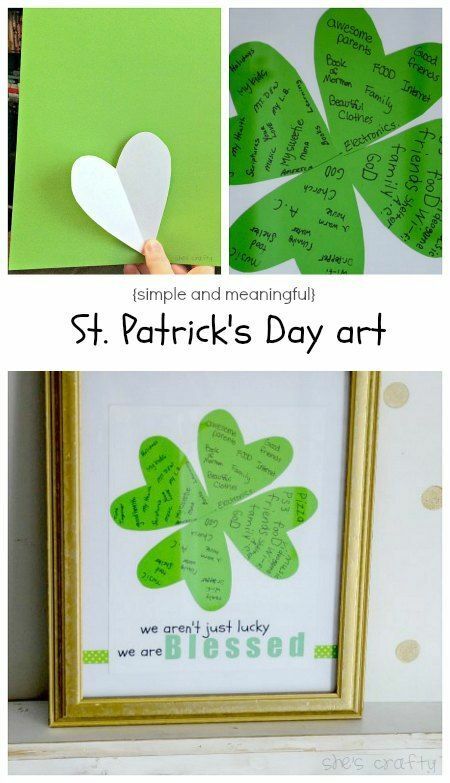 Even though my kids are getting older, they still love this tradition we do. 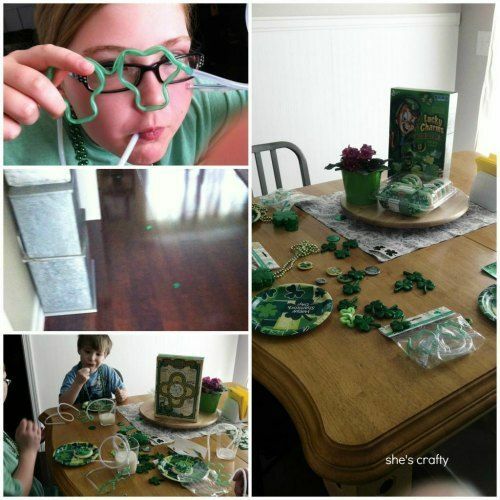 A leprechaun leaves coins leading our kids to the kitchen table where a green fest awaits. 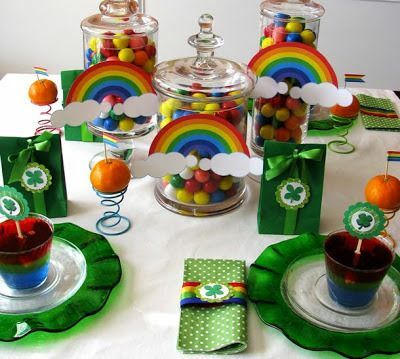 We usually have some sort of green breakfast (Hello Lucky Charms) and get new shirts and necklaces. Simple but lots of fun! 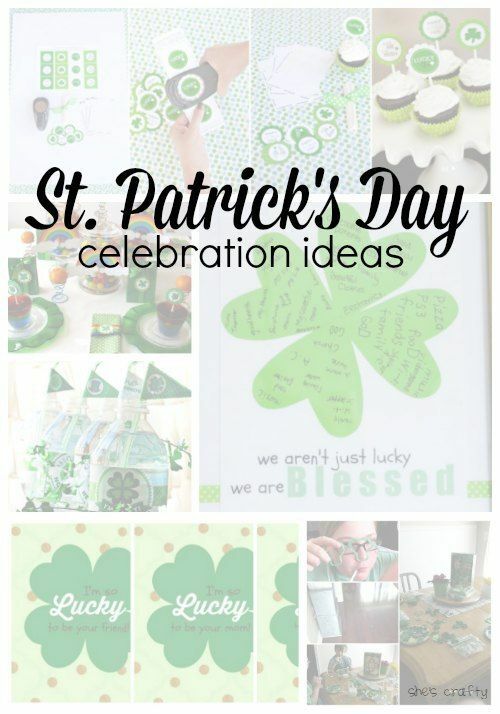 I also scoured the internet for some other easy and simple ideas. 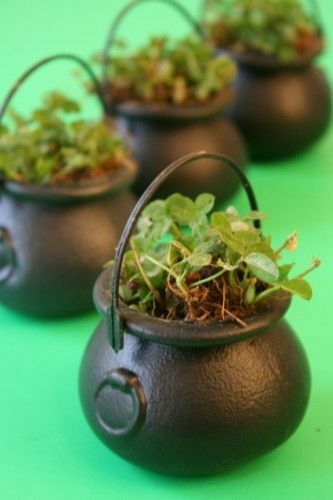 These little clover pots are adorable place card holders for a table. 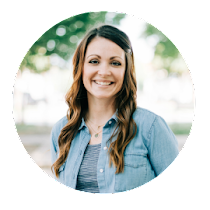 There are free printables on this link.